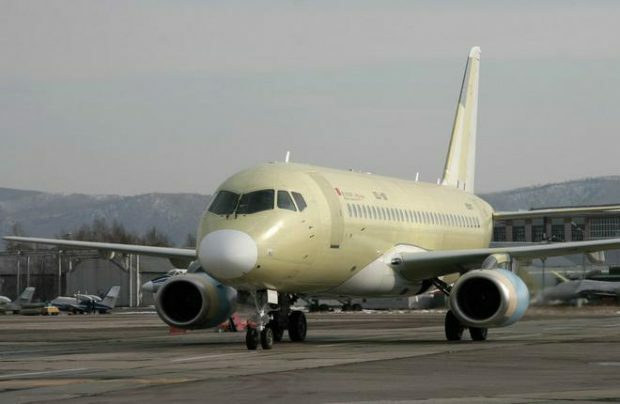 Russia’s GTLK State Transport Leasing Company has confirmed signing a contract to deliver four Sukhoi Superjet 100 (SSJ100) regional airliners to newly established Azimuth Airlines. The carrier will be based at Rostov-on-Don’s Platov airport, which is currently under construction. The aircraft are scheduled for delivery in June 2017, an GTLK representative told Russian Aviation Insider. Two of the four airframes destined for Azimuth are currently operated by Yamal Airlines. The aircraft, (serial numbers 95067 (registration code RA-89035) and 95070 (RA-89036)), are configured to carry 103 passengers. Earlier, Salekhard-based Yamal announced plans to phase out the two airliners after the end of the 12-month lease period, which began in May 2016. GTLK later explained that both aircraft had a single-class cabin layout, whereas Yamal is looking to provide a business-class seating option to its passengers. Azimuth’s other two airframes, serial numbers 95128 and 95129, will be registered as RA-89079 and RA-95129, respectively. The former will be in the baseline configuration, whereas the latter will come in the long-range version. Both will have a convertible cabin. GTLK plans to deliver a total of 12 SSJ100s to Azimut in 2017-2020. The letter of intent was signed several months ago. “The contract to deliver four aircraft in June 2017 was signed as part of the broader agreement, 2018 deliveries are currently under consideration,” the lessor says. “All the aircraft are being leased for 12 years.” Earlier, GTLK CEO Sergey Khramagin told Russian Aviation Insider that Azimuth could be offered discount lease terms for the SSJ100s and associated operational and maintenance support discounts as well. Vladislav Masalov, formerly vice-president at United Aircraft Corporation and now president at Sukhoi Civil Aircraft Company, says Azimuth will not be able to receive any newly built SSJ100 before 2018 as the manufacturer is fully booked. Platov airport is expected to be launched before the end of 2017. According to TASS news agency, work on the passenger terminal is progressing ahead of schedule and the building is 72% completed. Azimuth plans to start operation by September this year, initially from Rostov airport (which is to be closed after Platov has been commissioned). The airline has already applied for an air operator’s certificate with the Federal Air Transport Agency and is now recruiting flight crew. Azimuth is expected to break even within three years. The carrier’s shareholders include Vitaly Vantsev, co-owner of Moscow’s Vnukovo airport, and Pavel Udod, former CEO of Yakutia Airlines. Its CEO is Pavel Yekzhanov. The carrier expects to receive 2.1 billion rubles ($37 million) in subsidies. Its passenger traffic is projected at 2-3 million per year.